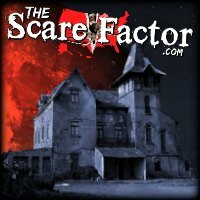 The Scare Factor is a haunted attraction and escape room review website with a very popular directory of these unique local businesses. Each year, hundreds of thousands of users flock here to find haunted house and escape room reviews and other information about the attraction. Add your logo to the top of our most popular pages! Each page is priced separately, based on popularity, ranging from $20 to $350 per year. Each ad’s placement within the “Advertisers” block is continually randomized for fairness. Depending on your image and the page/s you purchase, most advertisers can expect Click-Through Rates between 0.21% – 0.67% (about 3x-11x the national average*). *According to a study performed by SmartInsights.com in March of 2017, the national average for banner ads across all industries was 0.05%. 406×52 Banner at the top of our Home, “Find Haunts” or “Search Results” Page. 406×52 Banner at the top of Your State’s Directory Page. All other States are fully available. 406×52 Banner at the bottom of every “Haunt Advisor” email newsletter that we send. For starters, we’re creating “Featured Listing” carousels. These rotating image galleries will display your attraction below the Google Maps on your State’s Directory page, above all of the “standard” (non-‘Premium’) listings. The carousels will also be placed in an “Featured Listings” section at the bottom of all similar attractions’ “Details” pages. By default, your logo will only be included on the attractions’ pages within your State. Expand your reach to neighboring States for an additional $150/each. In addition to these enhanced placements, your listing will gain significant priority as we search for updates before haunt season. We’ll take extra time to link all of your social media accounts that we can find, provide an attraction summary, a YouTube video (if you have one) and ensure your dates & hours are posted for viewers to see (provided you have them available before our deadline). Basically, we’ll make your listing as “pretty” as possible all on our own! (Of course, any updates you send us will take priority over any changes we make to your listing). Finally, all premium listings will continue to receive a banner directly above their listing, which appears both on your State Directory page, as well as on the Search Results page when your attraction appears as a result. The Standard Listing Banners are also included with this package (see below). While click-through stats will be available for any clicks on your Standard Listing Banner, we will not be able to track clicks on carousels. Looking for a budget-friendly way to add a simple banner above your listing? Look no further! For a mere $20, you can add your attraction’s logo to your directory listing for a full year! These ads receive the same click-through stat benefits as our State Directory Banners and appear both on your State’s Directory page, as well as on the Search Results page whenever your attraction is listed as a result. Now that you’ve got their attention, it’s time to make the sale! Since 2018, The Scare Factor has partnered with Ideal Software Systems and FirstData to offer a full-service ticketing solution available to haunted attractions and escape rooms! From simple point-of-sale devices to massive, multi-attraction networks, you can create your own solution that suits your unique needs and helps you stay on top of where your money is coming from. The software can include Groupon integrations, waivers, online booking, season passes, concessions, merchandise/inventory and more! Options include portable scanners for redeeming tickets virtually anywhere (think “line-busting”)! We have first-hand experience with using this system at our after-season “Monster Bash” haunt party. Lengthy ticket booth lines were virtually eliminated, the reporting is complete and our attendees were pleased with how simple it was for them to use. Processing rates are very competitive and the 24-hour customer service is amazing! In the code below, change “http://www.thescarefactor.com/” to the URL for your attraction’s “Details Page” on our website. You can find this by searching for your attraction and copying the link in your address bar once you get there. More styles and custom sizes are available. Have you been reviewed by one of our Scream Teams? Build excitement for your attraction by adding this simple widget to your website! The code below creates a small box on your web page and fills it with a snapshot of your professional review. It includes your overall score and a short clip from the review with a link to “Get the Full Review.” The best part is, it’ll update itself automatically whenever your newest review is published, so you’ll never need to add it to your “To Do” list again! When copying this code to your website, be sure to replace “Your-Haunt-Name-Here” with your haunt’s name, taking special care to spell it EXACTLY how it is listed on our website. Be sure to replace any spaces in the name with hyphens (aka: dashes, or ‘minus’ signs), as shown in the example above. This is to make sure the code communicates with our website correctly and you don’t end up with an empty box. If you need assistance adding the code to your website, feel free to contact us. For starters, visit our Haunted House Directory to see if we’ve got you listed already. If we’ve missed you, or if your information needs an update, contact us here with your info and we’ll make the appropriate changes (usually same-day). Standard listings are 100% free and always will be! If you’re interested in upgrading your listings, see the “Banner Ads on TSF” section of this page. 1. Emails. We may attempt to contact you via email after you submit your “Contact Us” form. Be sure to add “TheScareFactor@Gmail.com” and “Info@TheScareFactor.com” to your contacts to make sure we don’t end up in your spam folder. 2. Payments. Invoices are sent via PayPal, so you can pay securely through them with your favorite credit card. 3. Stats. Impressions (aka “views”) and clicks are tracked for your ads, which helps us determine your Click-Through Rate (CTR). This is a vital performance metric for your ad, which can help you understand how well your ad is performing and meeting your goals. Such information will be made available to you upon request. Of course, if you have any other questions at all, just ask!